Miss Piggy and Shelly Snipes. . Wallpaper and background images in the The Muppets club tagged: miss piggy muppets. This The Muppets photo contains potret, headshot, and closeup. There might also be setelan jas untuk bekerja, setelan bisnis, berpakaian orang, jas, celana jas, celana panjang, orang berpakaian, perapi celana, jalan, pemandangan kota, perkotaan, kota adegan, and perkotaan pengaturan. 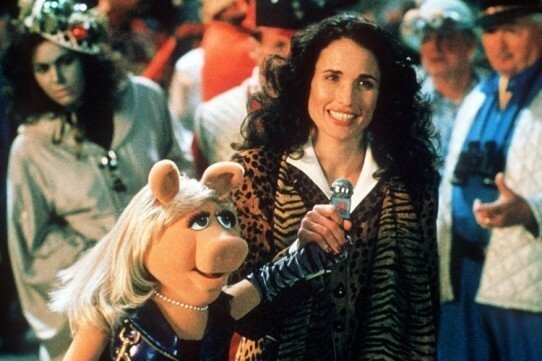 Too bad Muppets from Space was the only Muppet film Andie MacDowell was in. She should of have been in The Muppets (2011).